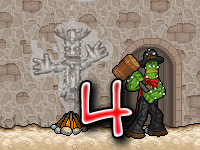 Cactus McCoy was just an ordinary guy whose job was to hunt for mysterious artifacts. One day a shady guy asked McCoy to hunt a jeweled cactus ball that has been hidden deep inside the valley and agreeing to pay McCoy handsomely if he accepts the job. Without thinking for a minute McCoy accepted the job and goes after the treasure in the valley. After overcoming the traps and obstacles McCoy finally finds the treasure that’s been stuck in a human figured stone cactus. 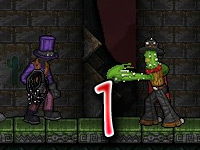 As he grabs the shiny cactus ball and takes a good night sleep without being aware of the horrific effect that will happen to him,wakes up as a cactus figure, the previous spirit of the stone cactus tells him that if he can return the treasure to its rightful place, he will transform to human once again but if he fails to do so he will turn into a stone cactus forever. Meanwhile the shady guy sends his thugs to hunt McCoy and now with the thugs blocking his path and obstacles in the giant valley, and it turns in to an exciting adventure that you will not forget. 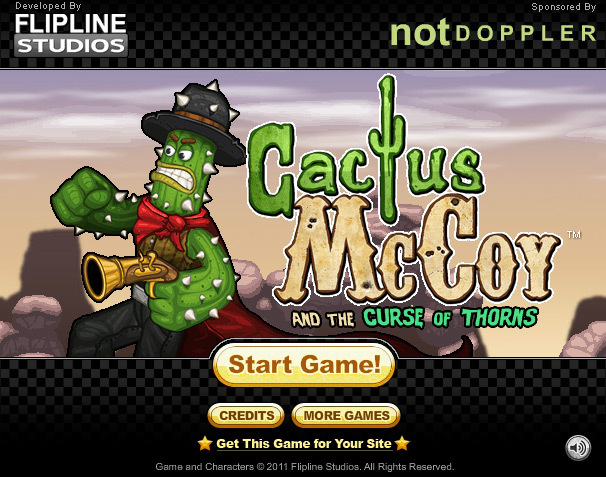 Cactus McCoy is an action adventure game, it has very beautifully combined action and adventure in to the game with a great origin story. 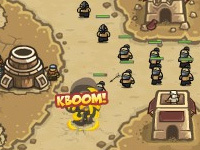 The game gives you a wild imagination of the Wild West theme. You play as McCoy, who loves adventure while seeking treasures. The game consists of exciting stages which are beautifully crafted and leaves a beautiful mark of western theme in your journey. After being cursed by the treasure McCoy becomes a thorny Cactus but don’t underestimate him, just because he lost his human form does not mean McCoy forgot his skills that he could perform as a human, he can do all the moves as a cactus too. For starter McCoy can punch enemies with his thorny hands but they don’t inflict good damage to enemy so he picks up weapons to defeat his enemies. 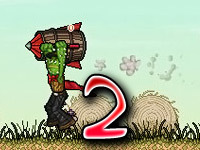 As you progress through the game you will able to collect various types weapons in your adventure but the downside for these weapons are, they come with limited durability so you cannot infinitely bash onto an enemy, these weapons will simply break or run out of ammo. So use the weapons wisely to smoothen your journey. If you feel you are not strong enough or getting hit by enemies too much you can upgrade your skills to improve your gameplay. The upgrade menu provides upgradesfor increasing punching strength, swinging etc. Each upgrade costs a certain amount of money to unlock. So get those valuable upgrades defend yourself against the enemies. The scores system is really simple and easy to understand. Your score also works as a means of currency to purchase upgrades as well. 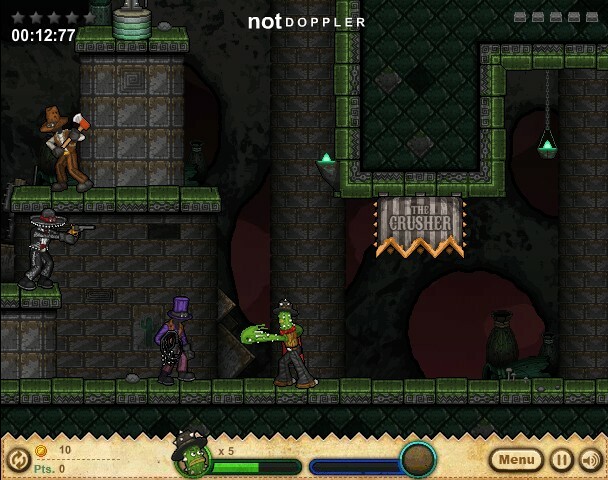 You can obtain good scores by executing combos on enemies, collecting the hidden treasures scattered all over the map and tearing up wanted poster of McCoy that are pinned up in different parts of the stages. 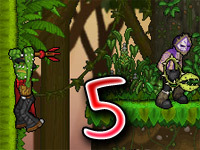 There are variety of achievement for you to complete, each of the achievements are quite unique from one another. Upon completing each of the achievements you are rewarded with a star.